Are you looking to buy the right heavy copper PCB from a reputed and well known manufacturer, then it makes sense for you to spend some going through this article. There are obviously a number of advantages as far as PCBs from heavy copper are concerned. But at the end of the day it all boils down to choosing the right manufacturer. 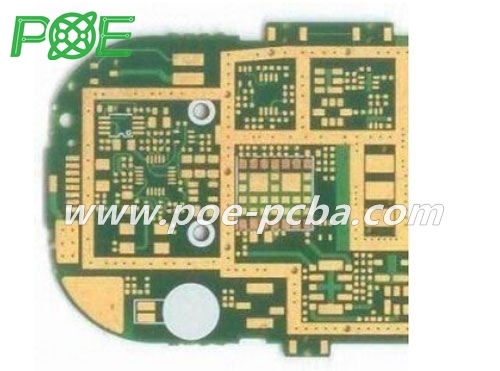 Many experts who understand PCB market well have reasons to believe that choosing POE Precision Electronics could be the right decision. This is because of a number of reasons and it would be worthwhile to know more about it over the next few lines. We need to look at POE Precision Electronics from close quarters to understand as to why their heavy copper PCB could be a great choice for customers. There are obviously much better than other metals. First and foremost ensures that there is much lesser undercurrent. It also is known to have much higher current carrying capacity. It could also be helpful in reducing layer count, and could also lead to low impedance power distribution. Hence this heavy copper PCB could lead to smaller footprints and much higher savings. There are a few other reasons as to why it makes sense to be associated with POE Precision Electricals for your requirements of heavy copper PCB. They are experienced and have the state of the art manufacturing facilities to churn out huge quantities of high quality heavy copper PCB end products. They have huge manufacturing capacity and according to the company’s own admission, they have the capacity to churn out around 40,000 square meters of PCB end products each month. This is quite big and not many would be able to match it. Further it would be pertinent to mention here that that the heavy copper PCB emanating from this company finds applications in many industries. They are used for medical treatment, automation and industrial management and of course in electronic, mobile phone and other such industries. One more reason as to why it makes sense to buy heavy copper PCB from POE Precision Electricals is because of their ability to offer the best prototypes. These can be replicated and it will only be a matter of time before they are able to product thousands of square matters of high quality PCB. Now that we know the advantages and benefits associated with heavy copper PCB you must identify the right supplier. Going through the information above, there are reasons to believe that POE Precision Electricals could be a good choice.